Ryan Sallans is Greg’s little brother. Born in Aurora, Nebraska, a small town with less than 5,000 people, both Sallans brothers grew up feeling like black sheep amidst a sea of “normalcy.” For Greg, it was a rebellious mindset that set him apart. For Ryan, it was his gender identity. While living as a conflicted lesbian woman prior to his transition, Ryan struggled with a severe eating disorder that threatened to take his life. He later realized that by starving himself, he was only attempting to eliminate the fleshy curves he associated with femininity. After transitioning, Ryan reaffirmed his relationship with his own body and continued to grow closer to Greg, the older brother who once broke his Transformer toys. Both Ryan and Greg still live in Nebraska, where they spend time with Greg’s children and play music together—Greg on the guitar and Ryan on the guitar and saxophone. 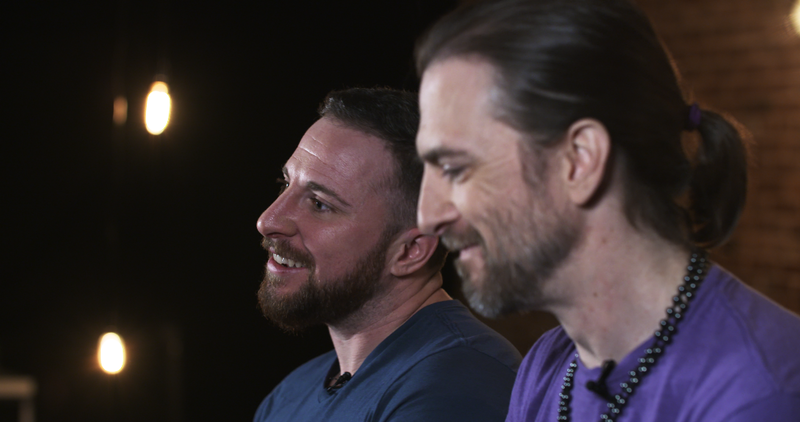 In their video interview, the Sallans brothers talk about how Ryan’s transition forced their entire family to come to terms with a nefarious “f- word” in their house growing up: feelings.